Having lived in the Maritimes over the past 6 years, I can tell you that you will love this trip. Coastal New Brunswick on the Bay of Fundy is by far the best part of that province. Nova Scotia and PEI are beautiful all around. 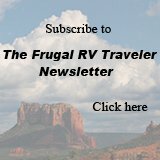 We just started full-time RVing this summer and chose PEI as are launching point. You can read about our adventures and get some travel tips/advice on our blog: www.fulltimecanada.ca Have an amazing trip! Comments for Have a great trip! Thank you everyone for the tips! We appreciate them. We will check out all the suggestions we can.